Music Tech Club is a organization intended for Music majors or students that have an interest in DJing, Live Sound, Lights, Live Video…. 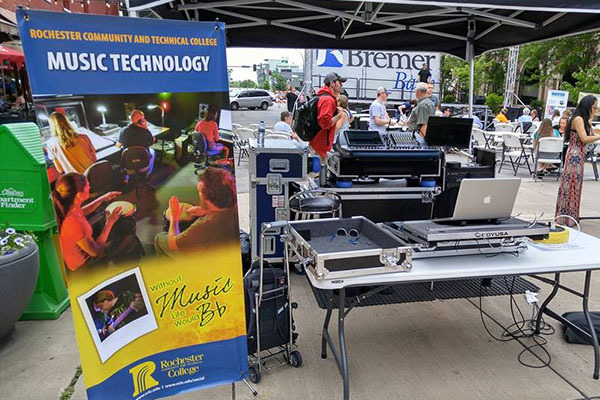 In Music Tech Club you’ll get to learn how to operate and setup professional audio equipment. This year the club has been focused more on DJing, planning and running social mixers. In the past they have focused more on live sound with bands. Every year is different depending on the interests of the members. 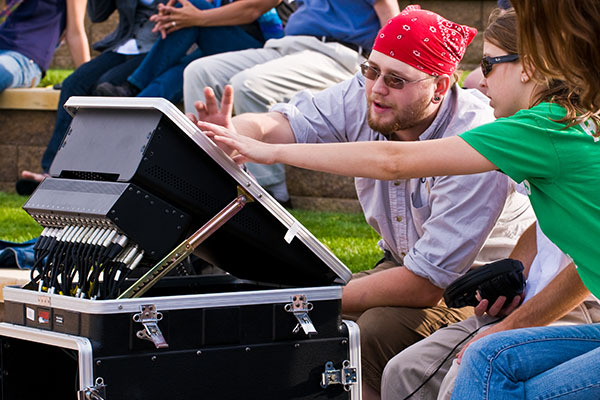 We often play music/DJ for various RCTC events around campus.This year a lot of the meetings have been members teaching and learning how to DJ, setup sound equipment, write and run lighting cues on computers, run VJ software with music, planning and collaborating with other clubs for social mixers. They have had two social mixers so far this year. There is a room setup for members to practice DJing on their own once they have learned some techniques from other members. The social mixers are the venue for the them to play live and get comfortable with their new skills.